Broadway star Mary Martin was perhaps best known for soaring over theatre audiences when she played the title role in “Peter Pan” — but off-stage she was renowned for winging to Bermuda every time her schedule allowed. The Texas-born theatrical sensation first appeared on Broadway in Rodgers & Hammerstein’s “South Pacific”, opening on April 7, 1949 as nurse Nellie Forbush. Her performance was called “memorable…funny and poignant in turns”, and she earned a Tony Award. 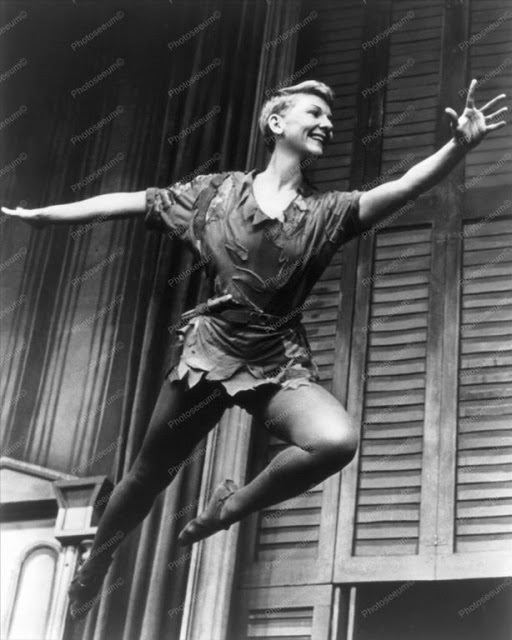 Her next major success was in the role of Peter in the Broadway production of “Peter Pan” in October 1954, with Miss Martin winning a second Tony Award. The one-time nightclub singer opened on Broadway in “The Sound of Music” as Maria on November 16, 1959, and stayed in that phenomenally popular show until October, 1961, scoring a Tony hat-trick when she walked off with a third statuette for Best Actress in a Musical. In 1966 she appeared on Broadway in the two-person musical “I Do! I Do!” with Robert Preston and was nominated for yet another Tony Award. The mother of actor Larry Hagman — who earned television immortality for his roles in “I Dream Of Jeannie” and “Dallas” — beginning in the early ’50s Ms Martin and second husband Richard Halliday started to visit the island on a regular basis. In 1961 even the normally indefatigable Mary Martin was exhausted after her long run in “The Sound of Music” and needed a complete rest. The result was one of her more memorable Bermuda vacations. Her producer husband — who she had married in 1940 — suggested she lease a cottage in Bermuda and ask old friend Bessie Mae Sue Ella Yeagar to meet her there while he prepared a new play. When American reporters discovered she was vacationing in Bermuda after her completing her “Sound Of Music” run, they descended on the cottage and Ms Martin and her friend performed an impromptu duet for them. “While Bessie sang ‘Rock of Ages’, Mary sang the words to ‘On The Sunny Side Of The Street’, surprising everyone that the two went together,” recounted biographer Mr. Davis. Miss Martin also commenced work on a set of memoirs which would eventually result in her bestselling autobiography — “My Heart Belongs” — while resting up in Bermuda during that holiday. “Richard gave me a yellow pad and some pencils as a going away present,” she recalled in a 1976 interview. “It was a different life for me in Bermuda after going to bed at 3 am during the show. 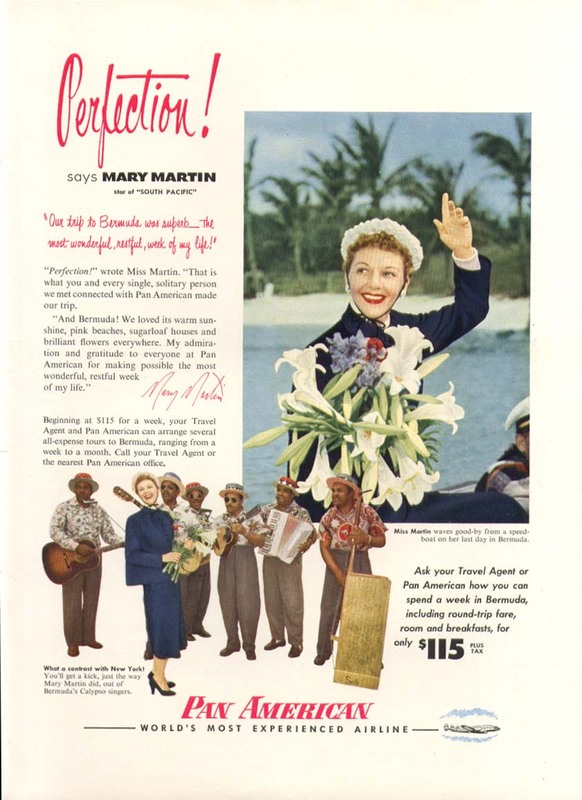 Mary Martin died a month before her 77th birthday at her home in Rancho Mirage, California on November 3, 1990.